Francesco Cirio, who pioneered the technique of canning food products to preserve their freshness, was born on this day in 1836 in the town of Nizza Monferrato in what is now Piedmont. His father was a grain trader and Francesco developed entrepreneurial instincts at an early age. By the age of 14 he was working at the fruit and vegetable market of Porta Palazzo in Turin. He soon became aware that there was a demand for fresh Italian produce in London and Paris and set up a company to export fruit and vegetables to other cities in Europe. At the same time he heard about the work of Nicolas Appert, the French confectioner and chef, whose attempts to find ways to preserve food led him to discover that heat could be used as a method of sterilisation and that foods treated in that way could be sealed in cans and would retain their fresh condition for many months. The method, which became known as Appertisation, was taken up by Cirio, who set up his first canning factory in Turin in 1856 at the age of 20, concentrating first on peas and then achieving similar success with other vegetables. Within a decade, the Cirio brand was appearing on the shelves of grocery stores all over the world and by 1885 the Societa Anonima di Esportazione Agricola Francesco Cirio, with its headquarters in Turin, had opened subsidiaries in Milan, Naples, Belgrade, Berlin, Brussels, London, Paris and Vienna. 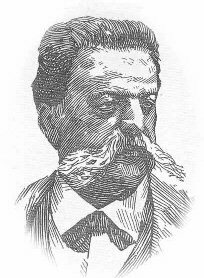 Francesco died in 1900 but his partner, Pietro Signorini, continued the development of the company, which invested in the agricultural development of Southern Italy. 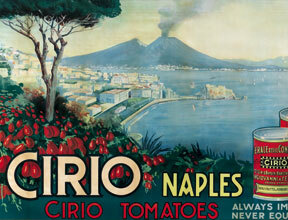 Canned tomatoes became a major part of the business and from the 1920s onwards, the name Cirio became synonymous with Italian tomatoes. The business continued to thrive through the 20th century before it became engulfed in the financial scandals of the late 1990s. The company was wound up after a number of executives were arrested on fraud charges during the anti-corruption drive in Italy that saw several other of the country's biggest commercial names disappear from the shelves. However, the Cirio brand lives on as part of the Gruppo Cooperativo Conserve Italia, a cooperative consortium of vegetable producers based in San Lazzaro in Emilia-Romagna. Nizza Monferrato, in the province of Asti, grew up around the Abbey of San Giovanni in Lanero in the 13th century. It passed into the hands of the House of Savoy in 1703 and began to flourish in the 18th century, when it was noted for its silk production. Interesting buildings include the Palazzo Comunale, the seat of the local government since the 14th century, and the Palazzo Crova, which is a good example of the town houses favoured by the nobility in the 18th century. The red wine Nizza, a DOCG wine made with Barbera grapes, is produced in just 18 municipalities around the town. The Porta Palazzo market, located in Piazza della Repubblica in Turin, where Cirio cut his teeth in the fruit and vegetable business, is the largest open air market in Europe with around 800 stalls. It trades from Monday to Friday and attracts not only customers from the city but from neighbourhoods further afield and many foreign visitors. 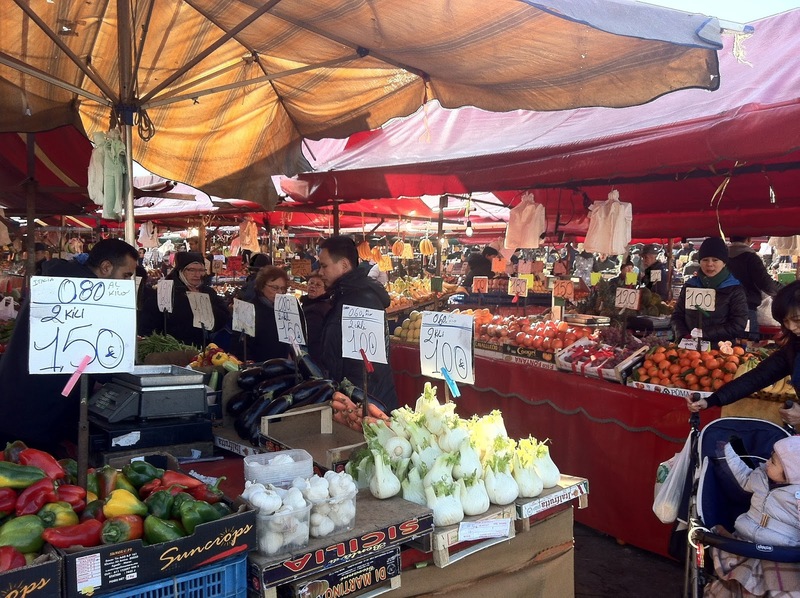 There is a strong representation of local producers with more than 100 stalls every day directly selling products from farmers around Turin. The market was renovated in 2006.